1. This abandoned village in France, where 240 women and 205 children were massacred by Nazis. On June 10, 1944, a Nazi Waffen-SS company destroyed the village of Oradour-sur-Glane, France, massacring its inhabitants, including women and children. After the war ended, General Charles de Gaulle ordered the village not to be rebuilt, and instead left it as a memorial and museum to remind the world of the atrocities of Nazi occupation. 2. This abandoned town in Pennsylvania that's been burning since 1962. 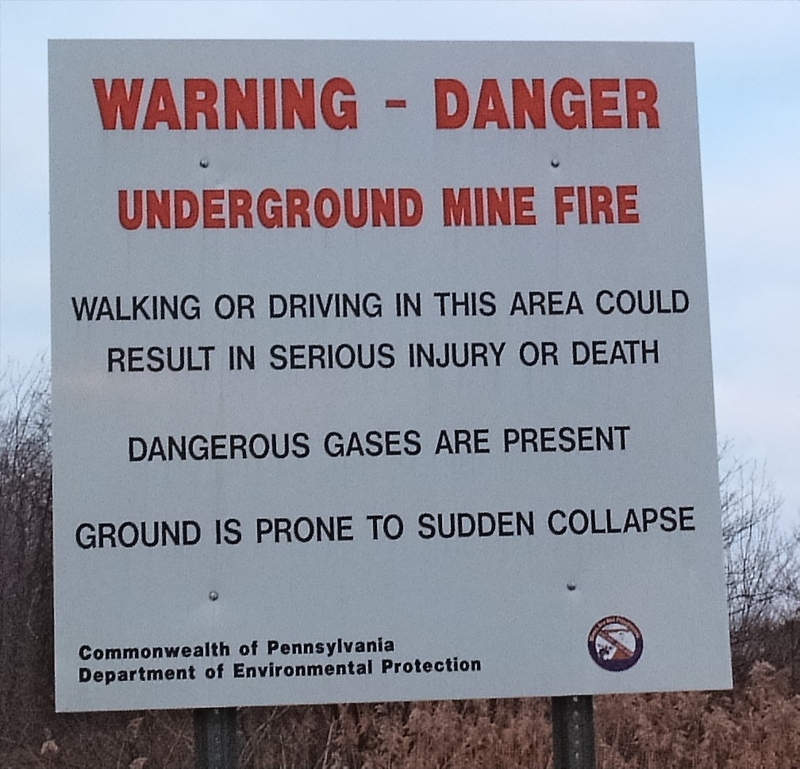 A coal mine fire broke out in 1962 underneath the borough of Centralia, Pennsylvania. At first it wasn't a big deal, but in 1981, sinkholes started opening up in people's backyards, full of hot steam and lethal levels of carbon monoxide. 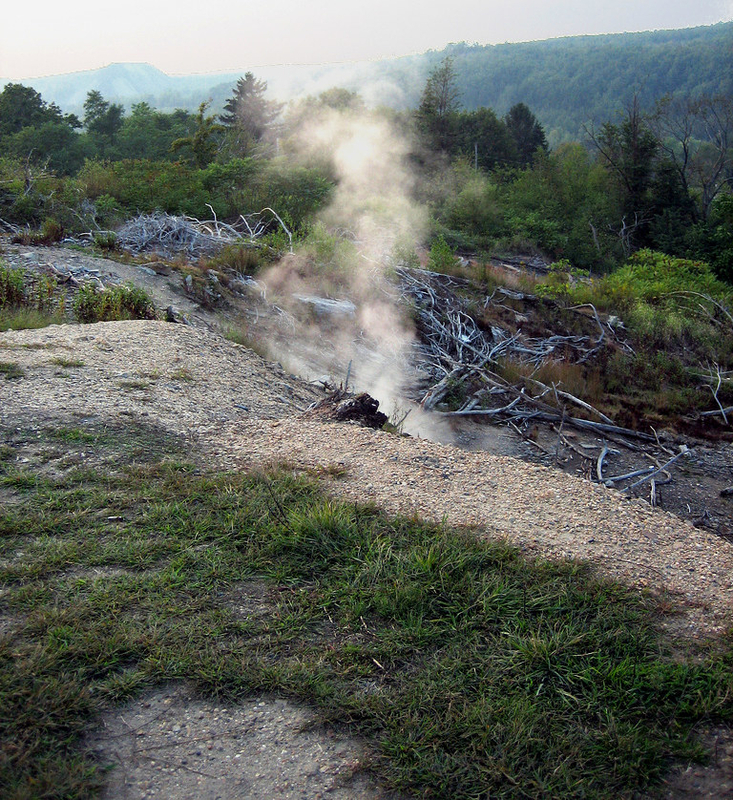 The government addressed the situation in the mid-’80s and relocated Centralia’s residents. The borough that once touted a population for 2,449 in 1940 dwindled down to 7 in 2013. The fire is expected to burn for another 250 years. 3. In Vancouver, there was a floating McDonald's that was built on a 187-foot barge. It has been abandoned since 1991. The McBarge was intended for Expo '86 as part of a tribute to the future of technology and architecture. 4. This abandoned Nazi compound in Los Angeles. Murphy's Ranch in Los Angeles was built in the 1930s by a rich American couple who were white supremacists and Nazi sympathizers. The ranch served as a base for Nazi activities, equipped with a water storage tank, a power plant, a fuel tank, a bomb shelter, and everything needed to be self-sustaining for long periods of time. The FBI raided the compound in 1941, after the attack on Pearl Harbor. The ranch was eventually left in ruins and decay, until it was finally demolished in 2016. 5. This abandoned subway system in Cincinnati that had its construction cancelled back in 1929. Considered the largest abandoned subway system in the US, the subway system's construction financing suffered from a number of obstacles, including two World Wars, the Great Depression, the popularity of the automobile industry, and Cincinnati politics. 6. The Pontiac Silverdome in Michigan, that once hosted the Super Bowl, the NBA finals, a Pope visit, the World Cup, WrestleMania III, and a series of concerts by legendary performers like Elvis, the Rolling Stones, Metallica, and Elton John, was completely abandoned and torn down by 2014. The deterioration of the stadium began after the Detroit Lions moved to Ford Field in 2002. After the city fell into financial trouble, and high maintenance costs, owners decided to auction off the stadium. The parking lot was used to store hundreds of recalled VW diesel cars. Demolition of the dome is expected by the end of the year. 7. This island in Japan that was at one time the most densely populated place on earth. Hashima Island was populated from 1887 to 1974, and operated as a coal mining facility. But the island was also infamous for its forced labor camps throughout World War II. Conscripted Korean civilians and Chinese POWs died on the island as a result of harsh labor conditions, malnutrition, and exhaustion. 8. This abandoned amusement park that was destroyed by Hurricane Katrina back in 2005. After Hurricane Katrina flooded Six Flags New Orleans back in 2005, park owners decided it wasn't worth rebuilding the park, and left it abandoned. Nevertheless, the location has been used as film locations for Dawn of the Planet of the Apes and Jurassic World. 9. This cement mixer that was left abandoned in Oklahoma and repainted to look like a NASA space capsule. In Winganon, Oklahoma, there's an interesting story about an abandoned cement mixer. Back in the '50s (according to some reports), a truck was carrying a cement mixer when it was involved in a car crash. While the truck was taken away, the cement mixer was left behind because it was too heavy to move. In 2011, Barry and Heather Thomas stepped in and transformed the cement mixer into a NASA space capsule. 10. In Changping District, China, Wonderland was originally proposed to be the largest amusement park in Asia. After the developers ran into a series of financial and logistical issues, construction stopped in 1998, and it was demolished in May 2013. Local children would often frequent the abandoned park and use it as a playground. 11. There's a ghost town in Arizona that goes by the name Nothing. At its height, Nothing had a population of four. Nothing is located 120 miles northwest of Phoenix in the Mojave Desert and it's mostly abandoned. In 2017, Century 21 Real Estate ran a promotion for Father's Day, where you could lease a piece of Nothing for 24 hours on June 19. Hence, you could give your father...Nothing. 12. Varosha was a bustling tourist beach resort in Cyprus that's been a ghost town since 1974. It was a modern tourist area that flourished until the Turkish invasion of 1974, which turned the quarters into a heavily restricted ghost town. The area is still controlled by the Turkish Armed forces, and access to the quarter is not permitted. 13. This hut in Antartica that's been around since 1902 and is in surprisingly OK condition. 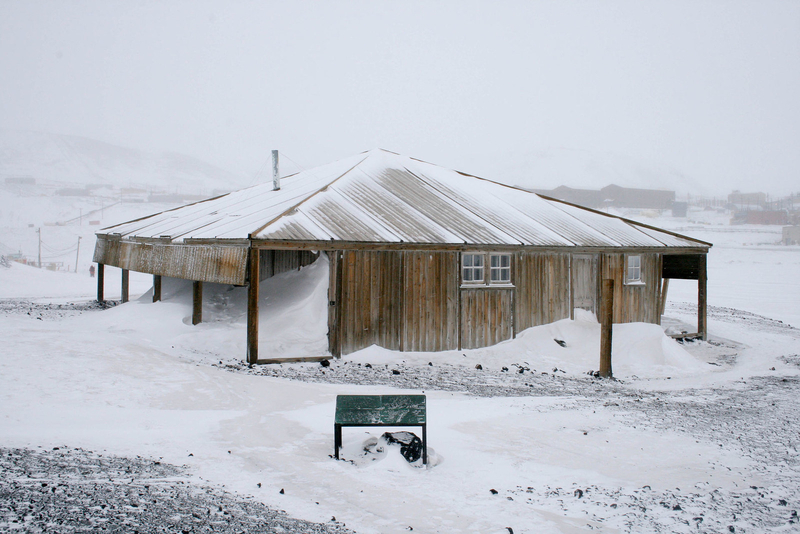 The Discovery Hut was first built in 1902 during the Discovery Expedition that lasted from 1901-1904. Since then, the hut was used four times, being abandoned in 1914. 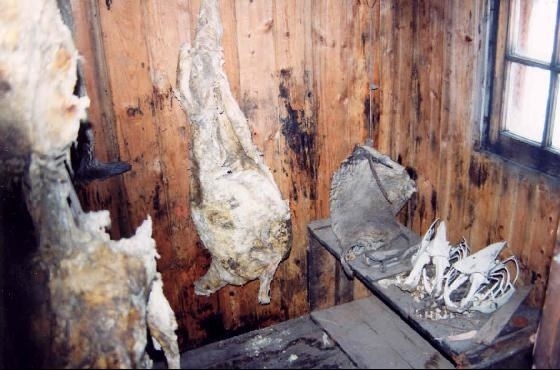 The hut has been preserved thanks to freezing temperatures and dry climate, even preserving seal meat that "smells quite rancid." But it's slowly falling apart thanks to fungal and bacterial decay. 14. Wintenoom was a mining town in Western Australia that was shut down by the government in 1966 due to growing health concerns over the town's main export — asbestos. While the town technically doesn't exist anymore, and has been virtually erased from official documents, there are three people who still live there. 15. This once wealthy mining village in southern Namibia. Starting in 1908, the village of Kolmanskop was overrun with German miners after they discovered the area was rich in diamonds. The diamond field turned Kolmanskop into a prosperous village that mirrored the look and feel of a small German town, but by the time World War I came around, the diamond field started to deplete. The town began a steep decline throughout the 1930s and was fully abandoned by 1954. The ghost town is now a tourist destination.